Our company is a reckoned entity engaged in offering an exclusive range of superior quality Multifold Cotton Yarn, extensively demanded by the client for their brilliant features. Dexterous professionals spun these yarns using premium quality fiber and advanced technology. These yarns are available in various colors, shades and other related specifications as per the requirement of our clients. Apart from this, we provide these yarns at affordable price. With rich industry experience and knowledge, we are manufacturing, exporting, trading and supplying a qualitative range of Multifold Cotton Yarn. The offered range is spun using high grade zari and advance technology. Apart from this, our range is tested on various parameters in order to ensure its durability and quality. 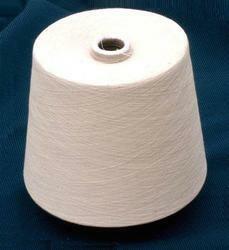 Clients can avail these yarns from us in different colors, finish and specifications and at industrial leading prices. We can supply direct 6 ply on any count and after that in multiple of 6 for 6 /1, 6/2/, 6/3, 6/6, 6/12 or 6/6/2 and the same for 8, 10, 12 counts required by party.